Well this one’s gonna be brief cause I’m going out soon. I will not, however, be going out to see “Bridesmaids”. I stopped by the nearest multiplex where it’s showing, and it turns out, the 5:00, 8:00 and 11:00 shows are SOLD OUT. Damn. I was bummed to not be able to see the movie I’ve been looking forward to for weeks now. I love a good gross out comedy as much as the next girl, especially those guided by the expert hand of Judd Apatow (though don’t get me started on Seth Rogan. How this ordinary stoner managed to become a movie star is beyond me). But you see, a woman as schlubby and chubby as Seth Rogan could never make it as a comedy star. 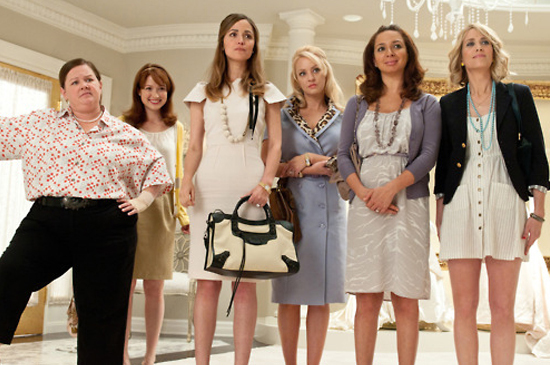 You have to start out looking as pretty as Kristen Wiig and Maya Rudolph to get in the door. Oh, and you have to be as hilarious, too. A gross-out comedy with a talented female cast that also covers on the very touchy subject of female friendship and competition? 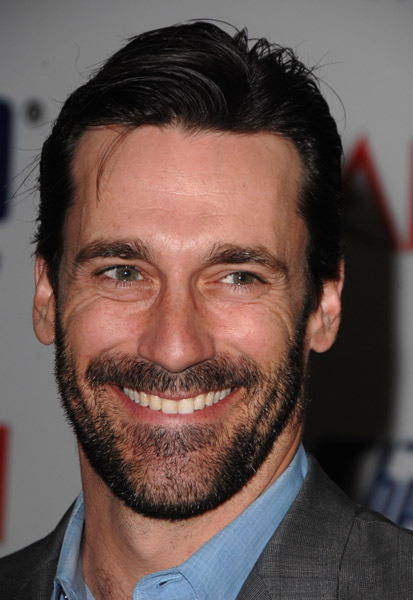 And Jon Hamm is in it? I’m there.